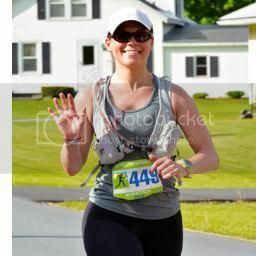 I started "officially" running in 2005 when I signed up for my first 5K race, although I ran for general fitness and as cross training while I was on my college crew team and after I graduated. I dabbled in track (200M hurdles) when I was younger - thanks to a very supportive gym teacher. There wasn't anyone in particular, but as I became acquainted with more and more people who ran and did so competitively, I knew that I could do it too. At the time I lived across the street from the park where our local Susan G. Komen Race for the Cure is held so I decided to train for it. I wasn't necessarily starting from scratch, but it would be my first race with a friend of mine -- talk about inspiring. Our goal was to just simply run without stopping. My favorite race for the location was the Rock n' Roll New Orleans Marathon. The Philly marathon had great crowd support, but I have to admit, small local races hold a special place in my heart. First, I absolutely love beginning runners. We were all there once and know the feeling of just lacing up and hitting the road. My best advice would be to stay focused and keep chipping away at it. Sometimes there's so much pressure -even when you are more advanced - to compete, to PR, to train, etc. Focus on getting out there and enjoying yourself, `maybe even in someplace new to you. Get lost in the moment. The rest will fall into place.